Pentagon representatives, Rear Admiral Kibben and Captain Daniel Mode, chaplain and division director of plans and operations for the Chief of Chaplains Office, presented the medal, the U.S. military’s third-highest personal decoration for valor in combat. 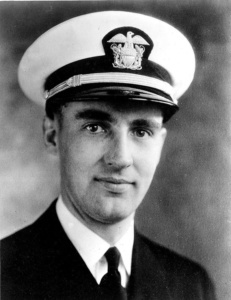 Schmitt previously received the U.S. Navy and Marine Corps medal and the Purple Heart for his actions during the attack on Pearl Harbor on Dec. 7, 1941. 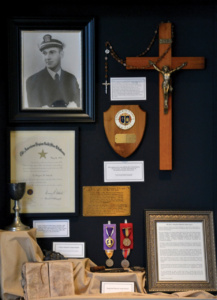 The Navy later commissioned a ship in his name; Christ the King Chapel, built between 1946 and 1947 on the Loras campus was also dedicated to him.